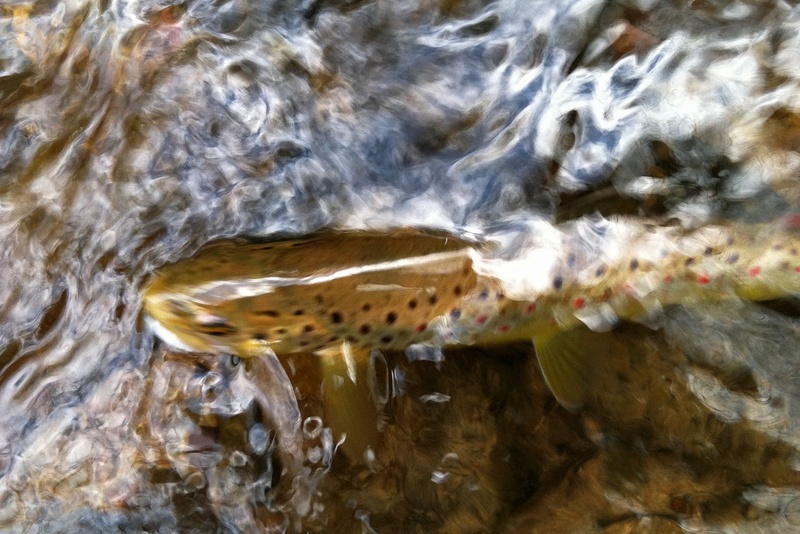 Spring is high season for trout fishing in Southern Appalachia. This evening I was able to get in a couple of hours of fishing on Tennessee Laurel Creek. 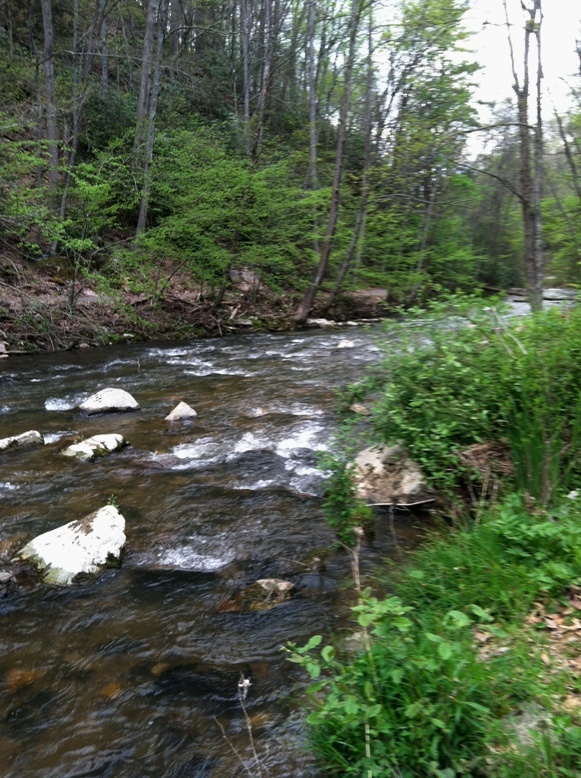 Tennessee Laurel Creek starts in Laurel Bloomery, Tennessee and flows north across the Virginia state line into Damascus. There are bunches of turnouts next to Route 91, the road that parallels the creek, where you can fish. The creek is not limited to fly fishing, so some days—like today—there are way too many fisherman on the Virginia side, where VGIF stocks regularly. I therefore drove across into Tennessee, where the stocking program is not as prominent, but where there are still numbers of wild trout. The creeksides are now lush and green. The greenery is reason enough to get outside this time of year. 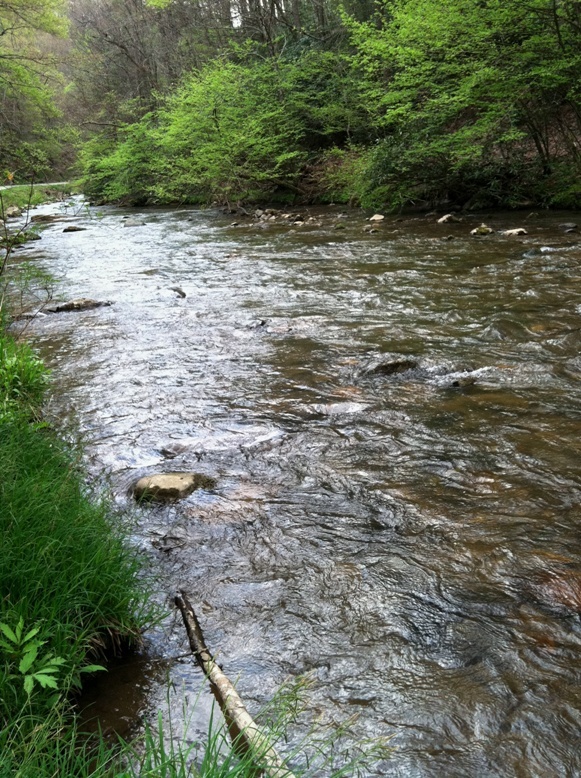 Tennessee Laurel is a typical Appalachian freestone creek, with lots of rifles and pocket water. It has more chutes and slightly slacker water than its sister Whitetop Laurel Creek, allowing for longer and easier drifts in most sections. 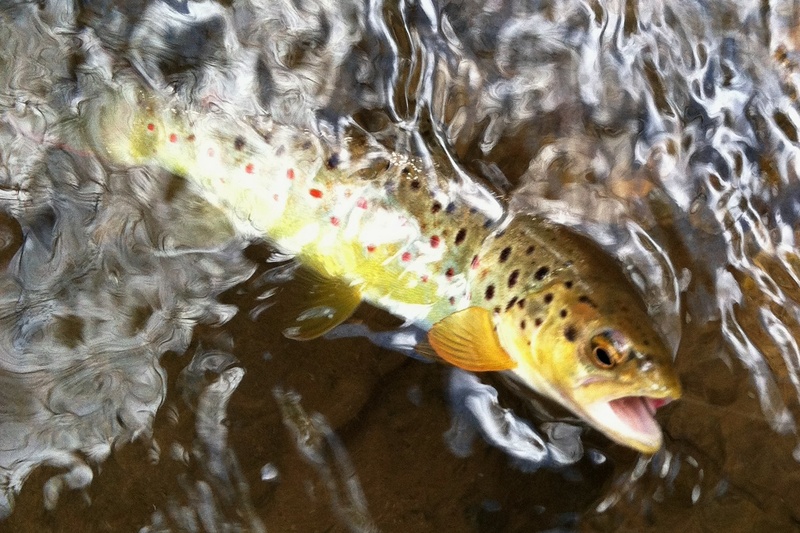 When the water flow is right, it’s a pleasure to fish.